to an OECU Mortgage Advisor or email support@oecu.on.ca. Why should I get a pre-approved mortgage before I look for a home? 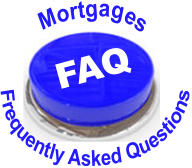 What is the difference between a fixed rate and variable rate mortgage? What’s the difference between a closed and open mortgage term? What is the difference between the amortization period and the mortgage term? Is a short or longer term mortgage better for me? How can my OECU Mortgage Advisor help me? What is a mortgage down payment? Can I use my RRSP as a down payment? the $10,000 into a RRSP at least 90 days before your closing date. Then withdraw the down payment money from your RRSP. here. We offer weekly, biweekly and monthly payment options set up through payroll deduction for your convenience. Start your pre-approval online - we’ll be in touch within 24 hours. What’s the difference between the mortgage amortization period and the mortgage term? Amortization Period: Number of years (typically 25) to fully repay the loan assuming a constant interest rate and payment. interest costs over time. Amortization is broken out into a series of terms…..
What’s the difference between a fixed rate and variable rate mortgage? What’s the difference between a closed and open term mortgage? Besides the down payment, what are other up-front costs associated with buying a house? What type of mortgage is right for my situation? loans, 50% of condo fees, etc.). Use our “How much home can I afford?” calculator. Check out our posted rates here. What are the key steps in buying a house? What documents will I need to provide for the pre-approval? costs (ideally, 20% or more of purchase price). Is the lowest interest rate always the best deal? The best mortgage involves a competitive interest rate and ‘flexibility’ that saves you the most amount of money long-term. or personal financial conditions. The average five-year borrower changes their mortgage every 3 1/2 years. may cost thousands after closing. long term needs - to get started, phone (905) 795-1637 or email support@oecu.on.ca. furniture, appliances, etc. Your OECU mortgage advisor will help you identify these costs. Firstly, any capital prepayment privileges amortize a mortgage faster since all pre-payments are applied directly to capital. higher versus closed mortgages because of the pre-payment flexibility. by the time your term expires. and peace of mind benefits. Contact your OECU mortgage advisor for professional advice at 905-795-1637 or email at support@oecu.on.ca.